RICHLAND HILLS RUNS PARALLEL TO SH-151. TAKE HWY 410 W AND EXIT ON MILITARY DRIVE. GO PAST WALMART AND TURN RIGHT ONTO RICHLAND HILLS DR. CONTINUE ON RICHLAND HILLS AND OFFICE IS TO THE LEFT. IN ADDITION, THERE IS A SHOPPING CENTER AT SH-151 AND LOOP 410. WE ARE BEHIND THAT CENTER ON THE ROAD BEHIND LOWE'S. The San Antonio Social Security office is located in San Antonio 78245. The following page includes information for this location like the office phone number, hours of operation and driving directions. If you have any interests or comments about your retirement benefits or are interested in making an appointment, call the following San Antonio Social Security office. The San Antonio Social Security office is located at San Antonio 78245. The Texas SSA administers separate federally run programs like retirement, SSI, Medicare and disability benefits. The following page contains available contact information for this location such as the Social Security office phone number, hours of operation, and driving directions. 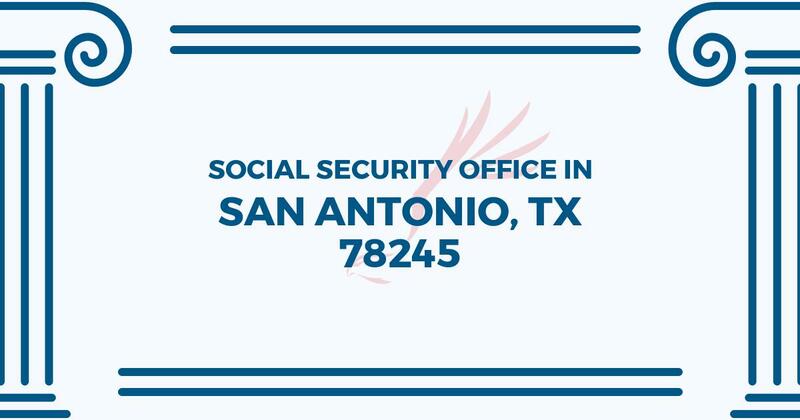 If you have any concerns or requests pertaining to your retirement Social Security benefits or interested in arranging an appointment, call the following San Antonio Social Security office.